Mr. Kular's practice is focused in general insurance defense litigation. 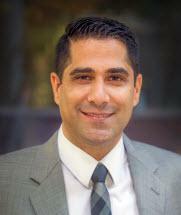 Mr. Kular began his legal career practicing with a private law firm in Scottsdale, Arizona. In 2005, he was recruited by Travelers Insurance to represent insureds in their construction defect department. Shortly thereafter, Mr. Kular also began working in Travelers’ subrogation department. At the time he left Travelers Insurance as Senior Counsel, Mr. Kular was handling all of Travelers Insurance’s construction defect and subrogation cases in Arizona, as well as handling complex tort defense cases. Mr. Kular has served on the State Bar of Arizona Mentoring Committee, and currently serves on the State Bar of Arizona Civil Jury Instructions Committee. He is also an active community volunteer. In college, Mr. Kular played baseball and ran cross-county at the NCAA II level, and captained his baseball team his sophomore year. While attending law school at Northeastern University, Mr. Kular served as an intern under the Honorable Chief Justice Shirley S. Abrahamson, of the Wisconsin Supreme Court. In 2012, Mr. Kular appeared in a "Young Guns" article, in the Attorney at Law Magazine, recognizing rising stars in Arizona’s legal community. In addition, Mr. Kular has been recognized as a contributor in two books: Phil Ackland’s Guide for Commercial Kitchen Fires, Prevention and Investigation, A Collaboration of Experts (2012); and, Toxic Torts: A Complete Personal Injury Guide (1994). Mr. Kular joined Jennings Haug Cunningham in 2017. Presenter, "Recent Changes to Construction Defect Law in Arizona", Travelers Law Symposium (2015 & 2016). Presenter, "Mock Trial Witness Examination, Focusing Expert Witness Behavior, Attire and Decorum", Arizona Insurance Claims Association (2011). State of Arizona, High School Mock Trial Tournament; Judge (2013-2015). Arizona State University, Mock Trial Project (ACC 591 Forensic Accounting), Masters of Accounting Program; Judge (2011 – 2012). Arizona State University, Preliminary Round of Richard H. Oplinger Closing Argument Competition; Judge (2011). National Multiple Sclerosis Society, Arizona Chapter, helped raise more than $5,000 in fundraising contributions, Organizer (October 2009). Jokake Const. Co. v. Elward Const. Co., 2010 WL 334992 (App. 2010). Mr. Kular was cited for having sent a proper tender of defense, which met the test of Litton Sys., Lnc. v. Shaw's Sale & Serv., Ltd., 119 Ariz. 10, 14, 579 P.2d 48, 52 (App.1978).